It may or may not be comforting to women working in conservation today to recall that female environmental heroes who came before them were able to achieve important victories even within the structural bias against women that existed in the past. Silent Spring, Rachel Carson’s groundbreaking 1962 work on the dangers of pesticides, was maligned as “emotional,” “shrill” and “hysterical.” When she asked, “What is silencing the voices of spring,” her answer — the pesticide DDT — provoked the manufacturer and others to disparage her both personally and professionally. Yet she and her book inspired the modern conservation movement. Fifty-six years after the publication of Silent Spring, women in the field of conservation, including those who lead or work for land trusts, still experience some of the same gender bias as women of Carson’s era did. But with the advent of the #MeToo and Time’s Up movements, and the accountability they call for, a bright spotlight once again shines on women’s issues. A 2018 study of full- and part-time employees by the Pew Research Center found that about 42% of working women said they had experienced gender discrimination at work, contrasted to 22% of men who were asked the same question. The discrimination included being treated as if they weren’t competent, feeling isolated in the workplace, experiencing repeated small slights at work and being paid less than men doing the same job. The Pew study also found that the gender pay gap has narrowed since 2016 due in part to women’s gains in education and work experience, but it remains persistent. And Black, Latina and Native American women experience an even larger gap than white and Asian women. Assessing the land trust community, the Land Trust Alliance’s 2017 Land Trust Salaries and Benefits Survey gathered data from organizations in 47 states and the District of Columbia, comparing wages across job categories and experience levels. For executive directors, it also asked respondents to identify their gender. Educational Services Manager Katie Chang estimates that about 280 (44%) of staffed land trusts nationwide are led by women. However, the salary survey found “on average, male executive directors are paid about $10,000 more than female directors with the same years of experience, budget and number of staff. This disparity persists regardless of whether the organization offers better benefits or more workplace flexibility,” says Chang. After nearly five years as executive director of the accredited Mississippi Valley Conservancy in LaCrosse, Wisconsin, Carol Abrahamzon (pictured at right) could feel proud of the strides the conservancy had made under her leadership, showing significant growth in donors, sponsors and staffing while protecting nearly 4,000 acres of forests, farms, prairies and streams from development (the conservancy has protected over 20,000 acres in total). At budget time this year, she reviewed staff salaries. “I wanted to make sure that some of the folks who were a little bit newer and hadn’t been hired at a high enough level or were working their way up were being compensated adequately.” The Alliance’s salary survey was the perfect resource. And then she looked at her own pay. The accredited Columbia Land Trust (CLT) in the Pacific Northwest wants to elevate equity as a core organizational value, according to Executive Director Glenn Lamb. They’ve created a statement of equity commitments, based on the belief that “a more diverse, inclusive conservation movement is a stronger, more innovative movement.” The staff — and the board to a lesser extent — have been attending Diversity, Equity and Inclusion trainings. 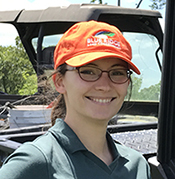 Meagan Cupka (pictured at right), assistant director of the accredited Blue Ridge Land Conservancy in Roanoke, Virginia, thinks part of the problem might be the generation of older, retired white men that typically comprises board members. As Abrahamzon noted, like reaches out to like. Unless you diversify the search committee, “you’re likely to keep the same ratio of men to women,” says Cupka. The accredited Southern Plains Land Trust in Centennial, Colorado, creates and protects a network of shortgrass prairie preserves to ensure a future for native animals and plants. The three-person staff includes two women and one man. The six board members are all women. 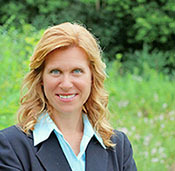 Nicole Rosmarino was hired as executive director in 2011 after having worked for 15 years for conservation groups run by men. “I loved those groups, but I also have long thought that women can bring effective and creative approaches to conservation.” The board gradually became all-female as men stepped off and women recruited other women. “There shouldn’t be glass ceilings in our world, only the wide, deep-blue prairie sky,” says Rosmarino. The 2018 WIC gathering drew 340 women at all career levels from 120 conservation organizations throughout the country. Sessions included active listening and developing empathy as a leader, among others. How else can women both equip themselves with the appropriate tools to deal with these issues, and equip male coworkers to be more effective allies? Look for a series of blogs related to this article in September 2018. When an email request was sent out to land trusts asking for experiences of gender bias for this article, we received many responses. These quotes are presented without attribution at the request of contributors. 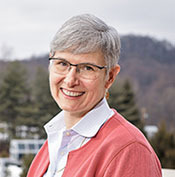 Meagan Cupka and David Perry, executive director of Blue Ridge Land Conservancy, have discussed such issues as the male-female composition of the board and the salary disparity data that the Land Trust Alliance salary survey revealed. Elisabeth Ptak, a freelance writer and editor in California, formerly worked for Marin Agricultural Land Trust (accredited) for 15 years.